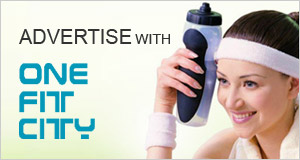 OneFitCity connects you with events, information, products and services that are relevant to you. In order to provide the best service to you use multiple sources of information that relate to how our members use the OneFitCity Platform. We collect information when you register on our site. This information includes your name, e-mail, and areas of interest as they relate to Health Wellness and Fitness. In addition, OneFitCity may also collect and analyze, from visitors and users, certain information regarding the use of OneFitCity’s services and platform activity. Information collected may include but is not limited to Platform traffic volume, frequency of visits, type and time of transactions, type of browser and operating system, etc. This information is logged to help diagnose technical problems, administer the platform, and improve the quality and types of service delivered. – To process transactions. Your information, whether public or private, will not be sold, exchanged, transferred, or given to any other company for any reason, without your consent, other than for the express purpose of delivering the purchased product or service requested by the customer. – To send periodic e-mails. The e-mail address you provide in the registration process may be used to send you information and update pertaining to your subscription, in addition to receiving occasional company new, updates, related product or service information etc. Note: If at anytime you would like to unsubscribe from receiving future e-mails, we include detailed unsubscribe instructions at the bottom of each e-mail. Your personal data is stored on our internal servers and is accessible only to authorized employees. This site has industry standard security measures in place to protect the misuse, and loss the information stored on our servers. OneFitCity employs cookies to recognize you and your access privileges on OneFitCity, as well as to track site usage. Subscribers who do not accept cookies from the domain onefitcity.com cannot access some sections of OneFitCity. OneFitCity does not sell, trade, or otherwise transfer to outside parties your personally identifiable information. This does not include trusted third parties who assist us in operating our website, conducting business, or servicing you, so long as those parties agree to keep this information confidential. We may also release your information when we believe release is appropriate to comply with the law, enforce our site policies, or protect our or other’s rights, property or safety, However, we may provide non-identifying and aggregate usage and volume statistical information derived from the actions of our visitors and customers to third parties in order to demonstrate the value we deliver to users. We may disclose personal information if we are required to do so by law or we in good faith believe that such action is necessary to (1) comply with the law or with legal process; (2) protect and defend our rights and property; (3) protect against misuse or unauthorized use of OneFitCity; or (4) protect the personal safety or property of our users or the public (among other things, this means that if you provide false information or attempt to pose as someone else, information about you may be disclosed as part of any investigation into your actions). 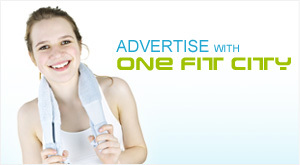 The OneFitCity Platform contains links to our advertisers’ Websites. OneFitCity is not responsible for the privacy practices or the content of these Websites. OneFitCity may perform analyses of user behaviour in order to measure interest in the various channels of our site and to inform advertisers as to how many consumers have viewed or “clicked” their advertising banners. We also use demographic and preference information to allow advertising banners on our Web site to be targeted, in aggregate, to the users for whom they are most relevant. Personal information about you as an individual subscriber will not be provided to any third party without your consent. OneFitCity employs multiple security measures to protect its users. The following tools are utilized to protect user information, and online payments. AsiaPay PayDollar – a leading, secure and reliable international payment service provider to banks and online merchants since 2000. Customers’ payment details are securely transmitted to the acquiring bank, card and payment companies for real-time transaction authorization using 256-bit Extended Validation Certificates (EV) SSL transaction encryption. PayDollar supports CVV/CVC check as well as 3-D secure authentication of Visa and MasterCard namely: Verified By VISA, MasterCard SecureCode for added security protection for both customers and merchant. Please also visit our Terms and Conditions section establishing the use, disclaimers, and limitations of liability governing the use of our platform.